New spring rules in 2019 mean Triple Eight’s previous Symmons Plains success provides no guarantees this weekend, says IRWIN Racing’s Mark Winterbottom. 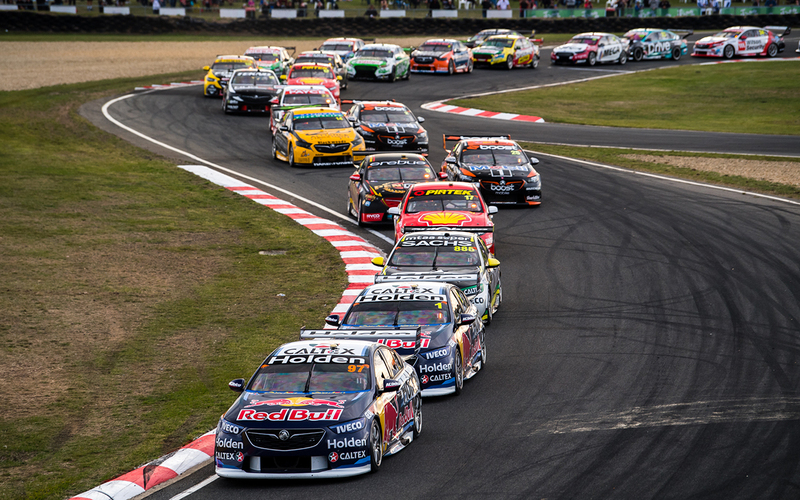 Triple Eight-built cars have traditionally dominated in Tasmania, winning 20 of the last 28 races there, in what is statistically the team’s strongest circuit. 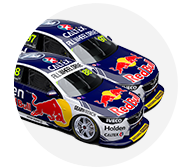 In 2018, Triple Eight ZBs scored both ARMOR ALL Poles and race wins, split between drivers Jamie Whincup, Shane van Gisbergen and Craig Lowndes. Its customer cars have also fared well at the 2.4km venue, including season-best qualifying and race results for Tekno Autosports’ Jack Le Brocq last year. 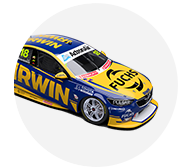 Having ended his 13-year association with Tickford and Ford, Winterbottom heads to Symmons Plains in IRWIN Racing’s Triple Eight-built Holden for the first time. The 37-year-old admits Symmons Plains had been a circuit he was “looking forward to”, but the impact of the ban on trap springs this year has curbed his expectations. “If they had the same equipment [as previous years], then sure you would [have high expectations], but with different springs and stuff, it makes a massive difference,” he told Supercars.com. “It’s not apples for apples. They were strong last year [at Symmons Plains], but they won two in Adelaide last year as well. “This year people made mistakes and there were things that made them competitive [in Adelaide], but last year they dominated. “[Symmons Plains] was one of the ones I was looking forward to, but then also one of the ones you’ve got to be willing to accept that the set-up changes have changed it. While all teams have been adjusting to only running linear springs, another new element for 2019 – the introduction of the Ford Mustang – has also changed the game. Mustangs have won all six races so far this season and, despite ballast tweaks confirmed last week, are again expected to be fast in Tasmania. Focused on his own package, Winterbottom takes encouragement from the recent Albert Park meeting, where he had his strongest result in the final race. “I was worried about the Grand Prix and we finished sixth on Sunday,” he said. 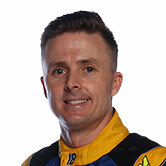 “It was a track I didn’t have much confidence going to with where I thought the car was at. 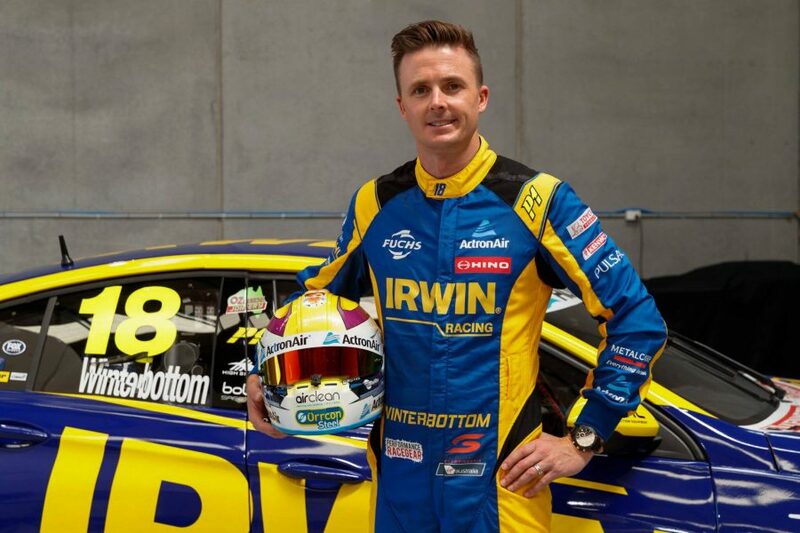 Winterbottom is 10th in the standings starting the Tyrepower Tasmania SuperSprint, where co-driver Steven Richards will turn laps on Friday morning.